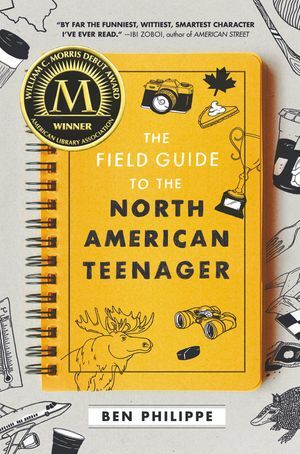 Released in North America on January 8, 2019, The Field Guide to the North American Teenager by Ben Philippe is a hilarious contemporary realistic YA debut novel about a rather cynical Black French Canadian teen who moves to Austin, Texas, and experiences the clichés and joys of the American high school experience—including falling in love. What’s more? The Field Guide to the North American Teenager is so awesome that it was selected as the Indigo Teen Staff Pick of the Month for January 2019! You can check out the The Field Guide to the North American Teenager and other Indigo Teen SPOTM’s on Indigo‘s website. DISCLAIMER: I received a complimentary copy of he Field Guide to the North American Teenager by Ben Philippe from Indigo Books & Music Inc. in exchange for an honest review. Norris Kaplan is clever, cynical, and quite possibly too smart for his own good. A black French Canadian, he knows from watching American sitcoms that those three things don’t bode well when you are moving to Austin, Texas. Plunked into a new high school and sweating a ridiculous amount from the oppressive Texas heat, Norris finds himself cataloging everyone he meets: the Cheerleaders, the Jocks, the Loners, and even the Manic Pixie Dream Girl. Making a ton of friends has never been a priority for him, and this way he can at least amuse himself until it’s time to go back to Canada, where he belongs. Yet, against all odds, those labels soon become actual people to Norris. Be it loner Liam, who makes it his mission to befriend Norris, or Madison the beta cheerleader, who is so nice that it has to be a trap. Not to mention Aarti the Manic Pixie Dream Girl, who might, in fact, be a real love interest in the making. He even starts playing actual hockey with these Texans. But the night of the prom, Norris screws everything up royally. As he tries to pick up the pieces, he realizes it might be time to stop hiding behind his snarky opinions and start living his life—along with the people who have found their way into his heart. 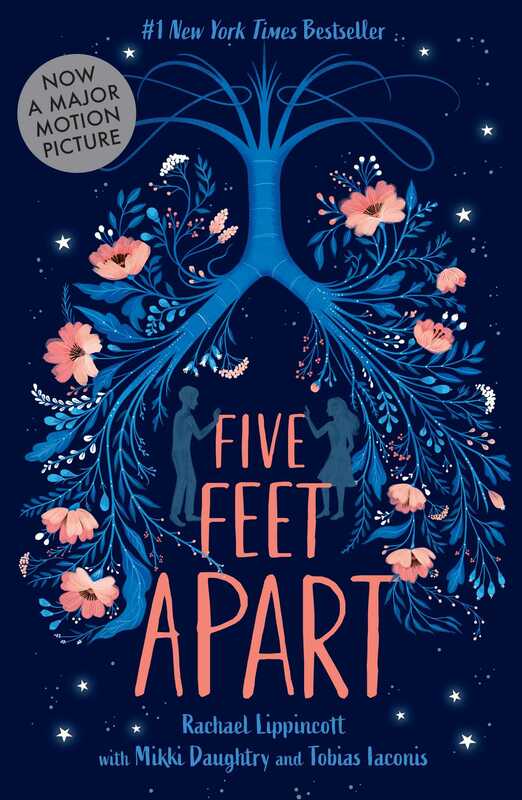 Released on November 20, 2018 in North America, Five Feet Apart by Rachael Lippincott is a story that fans on the YA Contemporary genre – and fans of YA in general – won’t want to miss. In this moving story that’s perfect for fans of John Green’s The Fault in Our Stars, two teens fall in love with just one minor complication—they can’t get within five feet of each other without risking their lives. And what’s more? Five Feet Apart is soon to be a major motion picture starring Cole Sprouse and Haley Lu Richardson in March 2019 (Movie trailer: https://youtu.be/5cJ7MT1RTqs)! Disclaimer: I received a finished copy of Five Feet Apart by Rachael Lippincott from Indigo Books & Music Inc. in exchange for an honest review. Can you love someone you can never touch? Stella Grant likes to be in control—even though her totally out of control lungs have sent her in and out of the hospital most of her life. At this point, what Stella needs to control most is keeping herself away from anyone or anything that might pass along an infection and jeopardize the possibility of a lung transplant. Six feet apart. No exceptions. The only thing Will Newman wants to be in control of is getting out of this hospital. He couldn’t care less about his treatments, or a fancy new clinical drug trial. Soon, he’ll turn eighteen and then he’ll be able to unplug all these machines and actually go see the world, not just its hospitals. Will’s exactly what Stella needs to stay away from. If he so much as breathes on Stella she could lose her spot on the transplant list. Either one of them could die. The only way to stay alive is to stay apart. But suddenly six feet doesn’t feel like safety. It feels like punishment. What if they could steal back just a little bit of the space their broken lungs have stolen from them? Would five feet apart really be so dangerous if it stops their hearts from breaking too?